The National Book Foundation has announced the finalists for its annual awards. NEW YORK — Novels by Colson Whitehead and Jacqueline Woodson and a graphic novel by Rep. John Lewis were among the finalists announced Thursday for the National Book Award. Whitehead’s “The Underground Railroad,” one of the year’s most talked about works even before it was endorsed by Oprah Winfrey for her book club, and Woodson’s “Another Brooklyn,” were cited for fiction. 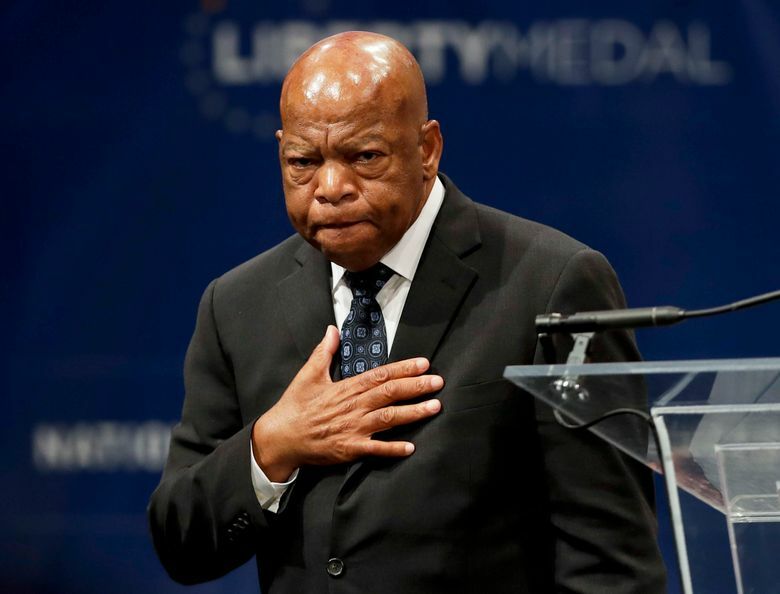 Lewis, the longtime Georgia congressman, is in the young people’s literature category for “March: Book Three,” the last of a trilogy based on his years in the civil rights movement. From a pool of nearly 1,500 submissions, judging committees chose five books in each of four competitive categories: fiction, nonfiction, poetry and young people’s literature. Winners, each of whom receive $10,000, will be announced Nov. 16 at a benefit dinner ceremony in Manhattan. Honorary medals will be presented to historian Robert Caro and to the Cave Canem writing center. Longlists of 10 in each category were unveiled last month.